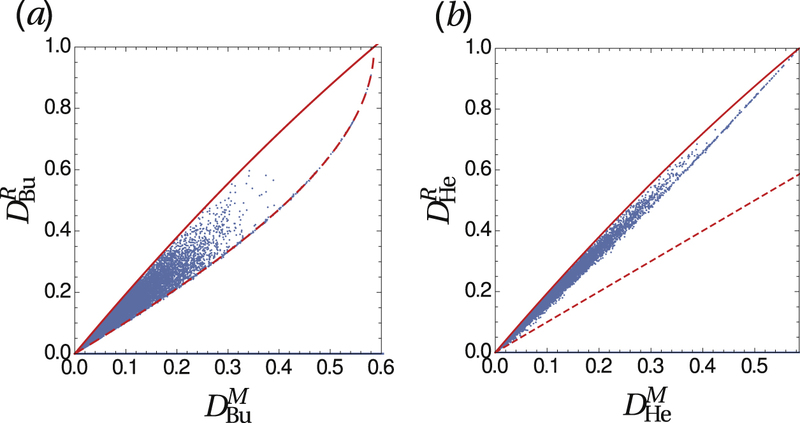 Researchers from the UK, France and Italy investigate and compare three geometric measures of bipartite quantum correlations that have been recently introduced in the literature. 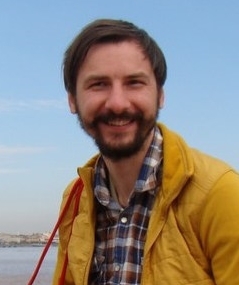 Wojciech Roga is a postdoctoral fellow at the Department of Physics of the University of Strathclyde, Glasgow, UK. 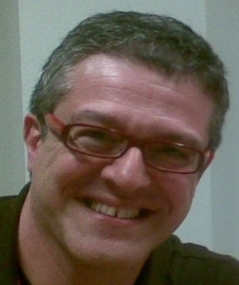 Dominique Spehner is an associated professor at the Université Grenoble Alpes, Grenoble, France, working at the Institut Fourier and at the Laboratoire de Physique et Modélisation des Milieux Condensés. Fabrizio Illuminati is a professor at the Università degli Studi di Salerno, Fisciano, Italy, working at the Dipartimento di Ingegneria Industriale and at the INFN, Sezione di Napoli. In the last two decades it has been realised that composite quantum systems in mixed states may exhibit quantum correlations differing from entanglement, which are captured by the quantum discord. Many different measures have been proposed to quantify these quantum correlations. We have been working for several years on the characterisation of such measures, more especially those having a geometrical and operational interpretation in terms of the distinguishability of quantum states. In 2014, W. Roga, S.M. Giampaolo and F. Illuminati published a paper in Journal of Physics A studying the properties of the discord of response based on the Bures distance (J. Phys A: Math. Theor. 47 (2014), 365301). 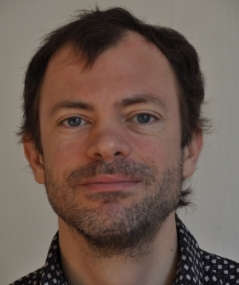 After reading the preprint of this article, Dr. Spehner discovered that by using a result of his work with Miguel Orszag on the Bures geometric discord (New Journal of Physics 15 (2013), 103001), he could derive an explicit simple relation between these two quantum discords when the reference subsystem is a qubit. He sent some notes to Fabrizio Illuminati explaining his findings. Subsequently, Professor Illuminati communicated to him some new results he had obtained together with Wojciech Roga on the comparison of the discord of response for various distances and on some applications to quantumness breaking channels. We decided to work together and to write a big common paper on the comparison of the different kinds of geometric measures of quantum correlations introduced in recent years in the literature, for different distances on the set of quantum states. To our great surprise, our investigations lead to many more relations and bounds between these geometric measures than we had initially expected to derive. The paper presents a detailed study and comparison of three geometric measures of bipartite quantum correlations: the geometric discord, the measurement-induced geometric discord, and the discord of response, each one defined according to different distances on the set of quantum states (Bures, Hellinger, trace and Hilbert-Schmidt distances). If the geometry is given by the quantum Hellinger distance, we establish that both the geometric discord and the discord of response are simultaneously fully computable, reliable (since they satisfy all the basic axioms that must be obeyed by a proper measure of quantum correlations), and operationally viable (in terms of state distinguishability). These two geometric measures thus provide the first instance of quantum discords satisfying these three basic requirements. We also derive some unexpected algebraic relations holding between the geometric measures for various distances for reference subsystems with low dimensional Hilbert spaces (qubits or qutrits). For systems with higher dimensional spaces, the different measures all define different orderings on the set of quantum states, in analogy with what happens for most quantum entanglement measures. However, we prove that the values of the geometric measures of quantum discord are constrained by a substantial set of inequalities holding between them. Comparison of the discords of response and measurement-induced geometric discords based on the same distances, (a) Bures discord, (b) Hellinger discord. The points represent 104 randomly generated two-qubit states, from W Roga et al 2016 J. Phys. A: Math. Theor. 49 235301. © 2016 IOP Publishing Ltd. All rights reserved. The geometric measures of quantum correlations that we have studied so far are defined as the minimal distance of the state of the bipartite system to some distinguished subset of quantum states. In an increasing amount of papers, an alternative strategy is followed, which consists in quantifying quantum correlations by minimising some quantity over small local perturbations of the system state. Such a strategy involves only local geometric features in the vicinity of this state. We plan to investigate the relation between the global and local strategies for quantifying quantum correlations. We also plan to work on the applications of the geometric measures of quantum discord as figures of merit in different protocols of quantum information and quantum technologies. A first step in this direction has been taken in a recent article by two of us (W. Roga, D. Buono, and F. Illuminati, New Journal of Physics 17 (2015), 013031). In this work, it has been shown that the Bures and trace quantum discords of response are respectively upper and lower bounds to the maximum probability of error in a quantum reading protocol. Other protocols that come to mind are quantum illumination, quantum sensing, and blind quantum metrology. A third direction of future research concerns the study of quantum correlation measures for continuous-variable systems, in connection with quantum optics experiments performed in Naples. Quantum correlations in Gaussian states of light can be quantified by the Gaussian discord of response. We plan to analyse the effect of noise on this discord. Preliminary results show that, surprisingly, keeping constant the other parameters like squeezing and the total energy, the presence of noise can sometimes lead to an increase of the discord, so that some quantum protocols like quantum reading can work better. Author images owned by Fabrizio Illuminati, Wojciech Roga and Dominique Spehner respectively, used with permission.